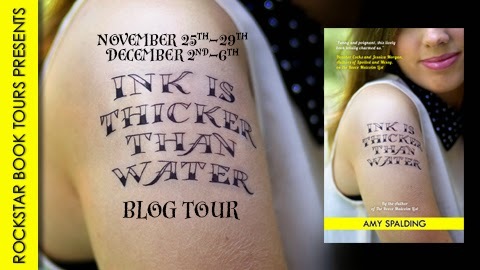 Two Chicks On Books: Blog Tour- INK IS THICKER THAN WATER by Amy Spalding Author Spotlight and a Giveaway! 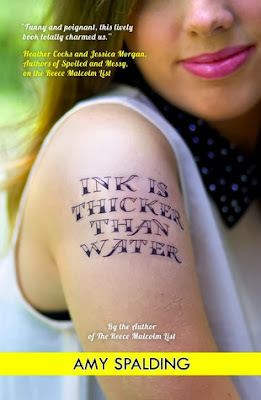 Blog Tour- INK IS THICKER THAN WATER by Amy Spalding Author Spotlight and a Giveaway! Hey y’all! Thanks for stopping by today! 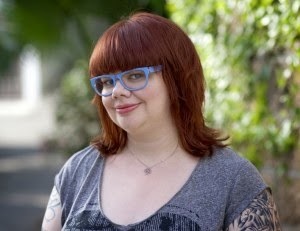 I have Amy Spalding here with an interview that she had recorded for Crystal at My Reading Room. Unfortunately Crystal couldn’t post it so I offered to do it! Haven’t heard about INK IS THICKER THAN WATER? Check it out and make sure to enter the giveaway for a copy of the book! Now into the Interview! Go to My Reading Room for the interview! 2 Copes of INK IS THICKER THAN WATER US Only. Congrats to Amy on the new release! Sounds awesome :) Thanks for sharing! I loved Amy's other book and a big congrats to this new release! I loved The Reece Malcolm List and I can't wait to catch this out!